Chen Cao, our favourite inspector, is informed that Zhou was under “shuanggui”, ie an illegal detention initiated by the Department of control and discipline of the Party. This procedure, which avoids that compromising details are disclosed, is not normally handled by the police. But in this case, Chen Cao acts as special advisor and as a senior party official. Zhou has suffered a real lynching on the internet after a picture showing him holding a pack of cigarettes “95 Supreme Majesty”, previously the brand for the private use of Deng Xiaoping, and explaining that it was positive that prices in the housing market, did not decrease although possible buyers could not afford this level of prices. This intervention of Internet users cannot by itself solve problems but it can be very effective and we remember the scandal of milk with melamine. The “suicide” of Zhou creates panic in the top ranks of the city and generates a new episode of the political struggle between the clans of Shanghai and those of Beijing which want at all cost to avoid an explosive situation in the real estate. The investigation leads him in the press circles, in internet cafes and among online activists. Controls on the internet and the need for users to identify themselves in the cyber cafes, however, do not detect the origin of the photo that started the scandal and fueled the rumor on the money made by Zhou. 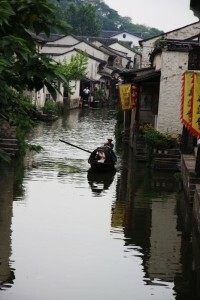 The investigation leads Inspector Chen to Shaoxing, a very pretty town south of Shanghai. His talents as a poet, his love for literature, once again, will be useful Shaoxing is the hometown of one of the greatest writers of the twentieth century: Lu Xun and one can visit his beautiful family house. Chen also tells us of the calligrapher Wang Xizi, of the Preface to the Orchid Pavilion (of which we can see a copy at the Guimet Museum’s exhibition on “Scholar Stones”), and the sad story of the poet Lu You and his cousin Tang Wan. The eighth novel in the series of Inspector Chen is very pleasant.The plot is well organized although it is not essential; the travels of our inspector in Shanghai and Shaoxing keeps us spellbound, his descriptions of cooking and food makes us regret that the Chinese restaurant at the corner of our street is not really Chinese and also very poor …! With Qiu Xiaolong we discover beautiful pages of Chinese poetry and with talent he opens doors for us and makes us want to learn more. Good news is to hear that his chronicle of the “Years of Red Dust,” which was published serialized by the major French newspaper “Le Monde” and as a book by publisher Liana Levi will be followed by a second collection of short stories to be released by the same publisher. 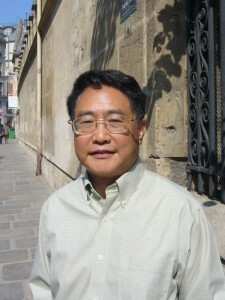 Qiu Xiaolong: Sure, but I must add that sometimes truth is stranger than fiction: I just wrote an article on the Bo Xilai case (a top leader of the Communist Party just dismissed and whose wife is accused of several murders) but I’m sure that if I had approached a publisher with this story, he would have explained that my plot was unbelievable! The cigarette brands reserved for the Party elite do exist in several provinces where they are called “corruption cigarettes”! As for corruption with real estate, there was an important political struggle between the center and the main cities in the country.The mayor of Shanghai was fired a few years ago for these reasons: often nearly half of the revenues of big cities come from the land they sell to developers. The “boom” can be an accelerator for the careers of key executives and in the book the scandal on the Internet arises mainly from the fact that leaders did not want that house prices would fall. A few years ago, academics specially Americans, believed that economic development necessarily would lead to democracy, and now we also read that some think that the Internet can be a weapon leading to democracy .. Nevertheless, officials and the public clearly see the extent of problems, the enormous differences in living standards or corruption. People talk openly about reform and even Premier Wen Jiabao said that they are inevitable. Internet opens up possibilities, all media are controlled and the government has in hand tools against the internet, be it the “firewall” or for instance lists of sensitive words.But the development of volumes on the internet is explosive and despite the resources it allocates, it is very difficult for the government to control it as in the past. The current use of Confucius and the conflicts that this create at the top is a proof of the ideological vacuum that is not filled by statements on the “harmonious society” Wen Jiabao speaks of a “moral collapse”, words which were “harmonized” a few days later .. It is clear that interpersonal relationships are very different from what they were when I lived in China. People no longer believe in anything, only money counts ! Buddhism is part of my culture and during my childhood, my parents took me to the temple and there was recently the anniversary celebrations of the centenary of the birth of my father who died long ago. I’m interested in Buddhist philosophy but currently what is dominant are superstitions. We must give a lot of money for ceremonies. In addition, in the past we burned paper money (to ensure that the deceased has everything in the hereafter ..), now they burn houses and cars and even paper effigies of concubines! You talk about the beautiful city of Shaoxing, birthplace of the great writer Lu Xun .. I love the writer but I do not appreciate how he was used for political purposes by Mao Zedong. It is a pity that he did not write more short stories and less essays; he has handled so many literary controversies which are not all of them interesting and he could be very tough. It is true, as you mention, that I’m more comfortable with Shaoxing than with Wuxi and the Tai Lake in my previous novel. Also internet is close to my heart, this is the way of the Chinese to resist. The internet is also an important vehicle for literature. Young writers publish first on the internet on specialized sites where readers have to pay very small sums of money to read the different episodes. When the number of clicks is big enough and that success is clear, the texts are published in book form. To survive, authors should write a lot and fight not only against piracy but also against improper publications on Baidu, the Chinese Google; there are even difficulties recently with Apple. 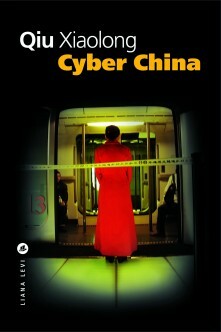 I’m not sure that literature on the internet will better distribute Chinese literature in the West. The quality is not always sufficient because the authors write a lot and this would lead to very large volumes of translation. Qiu Xiaolong, “Cyber China” translated from the English by Adelaide Pralon. ed. Liana Levi 2012, 280 pages, € 18.50.